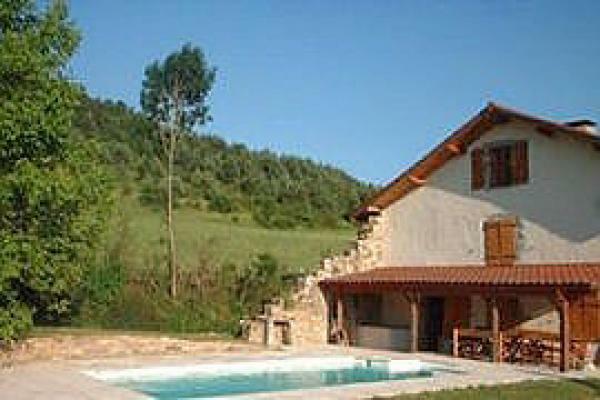 This charming Jura holiday house with swimming pool stands in just over an acre of its own grounds. Croupet is a hamlet with just four permanent residents. 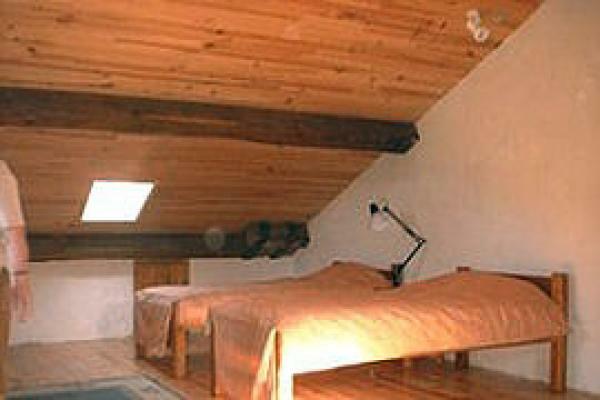 It is situated in the Suran valley on a quiet country lane which leads to the villages of La Pérouse and Monnetay. Ground floor This is divided into the traditional three sections with the kitchen/dining area at one end, the sitting room and stairs in the centre and the utility, wc, shower and heating at the other end. The kitchen is equipped with a double sink, dishwasher, mixed gas/electric hob, refrigerator, microwave, electric oven, kitchen cabinets and wall cupboards. There is a large refectory table with backed benches. 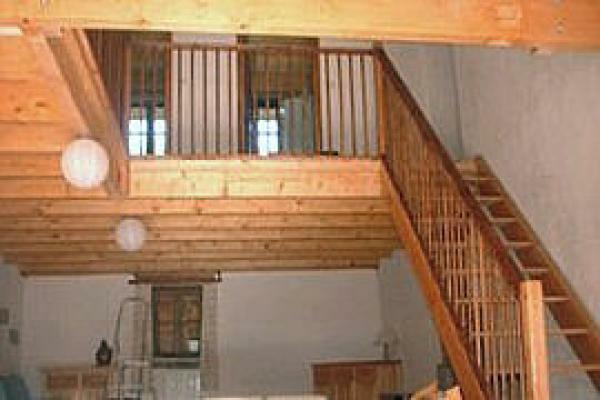 The sitting room has a glass-fronted wood burner, stairs leading to first floor and a mezzanine. The utility room includes the washing machine, water heater and a wood burning boiler which will heat the water in about 30 minutes as well as providing central heating throughout the house. A door leads out of this section to a covered area beside the pool. Seven bedrooms. Bathroom with bath, wc and basin. Second bathroom with large shower, wc and basin. 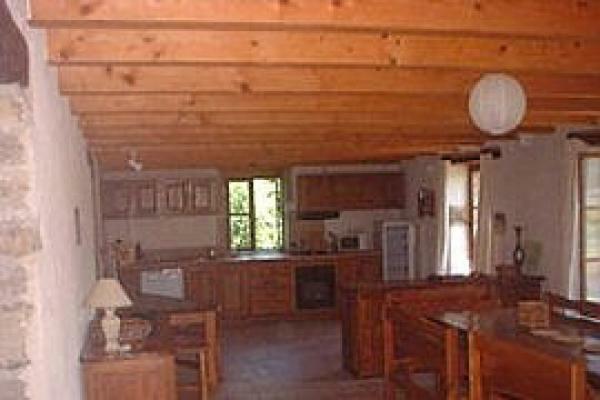 Two bedrooms each with two single beds. There is a bathroom with bath, wc and basin between the two bedrooms. The house has full wood-fired central heating as well as a glass-fronted fire in the sitting room. Access from the road is through a double gate leading to a wide gravel area for parking and turning. The 7.5m x 4.5m pool has a deep end furthest from the house of 2.2m and a shallow end of 1.2m with steps leading down into the pool. The area around the pool is paved and mature walnut and apple trees give shade around the pool . The garden is mostly flat lawn with an area large enough for cricket or football. An occasional stream flows along the eastern boundary of the property and curves around the south end of the house to join the Suran which is about 100m across a field. This stream usually runs after heavy rain and emerges from a rather impressive cavern some 300m upstream from the house. This part of the Jura known as la petite montagne is a mixture of hills and valleys and is a traditional agricultural area specialising in producing milk for the well-known comté cheese which is available and made in Gigny and St Julien. There are lovely walks on the quiet back roads leading to St Julien, La Pérouse, Louvenne and Monnetay. Being either flat or gently sloping these roads make good cycling country as well. Monnetay however is about 300m higher up and requires some pedalling. Apart from traditional tourist attractions like the abbey, there is fishing in the Suran and various lakes which are good for swimming and boating.